Upon entry, this property oozes the idea of rural living without all the maintenance of an acreage lifestyle. Just under an acre of fully useable land, loads of space for the truck trailer and camper van. 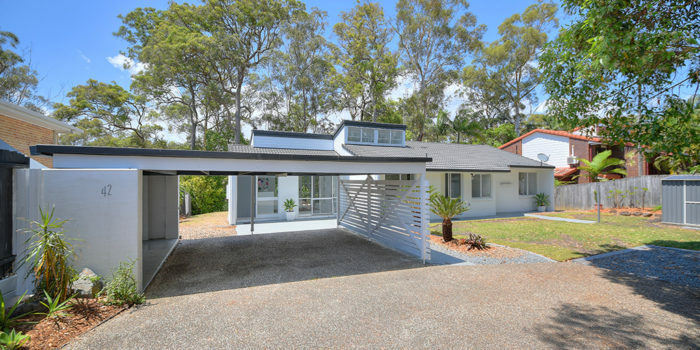 Nicely nestled on the cusp of the NSW and QLD border, on the hill facing north, you will find a 1980’s spacious 4br ensuite home with everything that a growing family needs in today’s world. The current owners have spent a lot of time doing many simple upgrades to the property. It is now an established beautiful family home for the next owners to enjoy. – A picturesque view can be found from every window. Peace and tranquillity found only 10 minutes to town. – A smaller concrete slab accessible by the second driveway boasts a separate septic and mains electricity, all ready for the next owner to establish. This property provides the rural lifestyle without the extra maintenance of additional acres; all only 10mins to town. An inspection will impress and the value is here. You will not be disappointed if you are looking for a contemporary family home. Desperately seeking long term tenant. Situated minutes walk to Burleigh Beach, Miami 1 and Miami’s caffeine Hub this recently refurbished 2 bedroom duplex is ready and available NOW. 100% USEABLE ACREAGE- – Bring your trucks trailer, kids, grandma and grandpa. 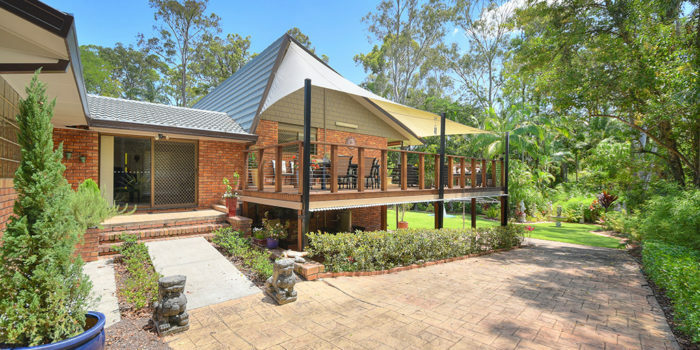 Nestled at the base of Mudgeeraba’s original Dress Circle this exquisite 50sq home oozes the grandeur of yesterday with the size and space that so many of today’s families CRAVE. The house is a well appointed 50sq brick and tile home with a suspended slab and superior SIZE and SPACE. 100% useable land size and super central location. * Exception outside entertaining areas. * Plenty of storage space for boat caravan and up to 6 cars under cover. * Plenty of room for a pool if required. Rivett crt is the closest acreage spots to the Robina Hub and is only minutes to the M1 with school buses at the door. Inspection purely by appointment and please allow 40 minutes to inspect ensure you truly see the property. Absolute Waterfrontage- North East Facing. Impeccably presented 2 bedrooms, fully refurbished apartment positioned perfectly facing North East and located on the Fifth Floor. Exceptional in all aspect and Inspection by appointment only. The unit boasts two big bedrooms, ensuite of the master, open plan lounge dining area with crisp, clean light and bright kitchen centrepiece. Fully airconditioned. A wide and lengthy, balcony allows access from every room to sit and watch the boats go by and let you water life begin. To be sold fully furnished as required. The Broadwater building perfectly caters for all your needs and desires is position perfect on the map . Broadwater Tower is strictly residential living (no holiday letting), therefore residents enjoy peace and privacy and all apartments have secure underground parking. *Broadwater Tower residents enjoy state of the art security systems, regular security patrols and professional on-site management. All situated a short stroll to shops cafe and the harbour. Runaway bay majour shopping precict a short car trip away. Inspect a priority and is strictly by appointment only. Exquisite fully refurbished executive home. 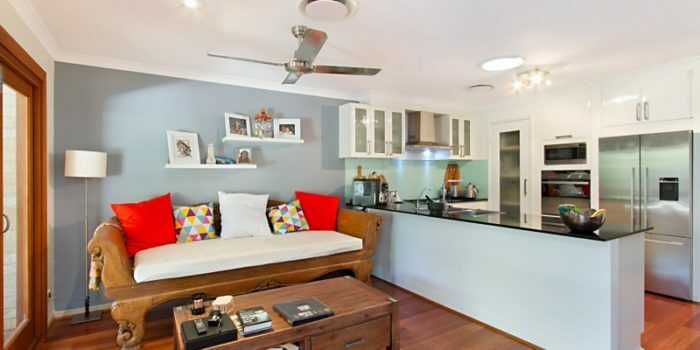 All the benefits of Burleigh living without the maintenance. Quiet possie, walk to Burleigh ever-changing caffeine HUB and Burleigh point Break. Be quick. Inspection by appointment situated in the quiet secure block. Lakeland Signature Towers provide a sensational position to simply sit back and relax and enjoy/ watch the Gold Coast lifestyle in the serenity of your own top floor penthouse. 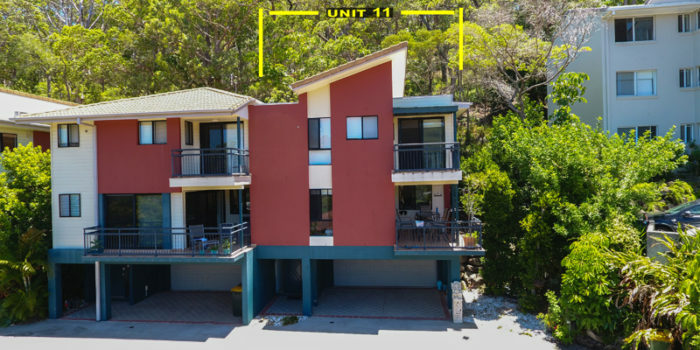 This stunning apartment is designed with open plan living and dining in mind and opens up onto an EXTRA wide balcony with views stretching out over the Golf Course and beyond to Burleigh and to the hinterland. Positioned on the Top floor this apartment has been kept immaculately It also comes with two dedicated parking spaces, conveniently located right next to the lifts and a large sized storage cage. 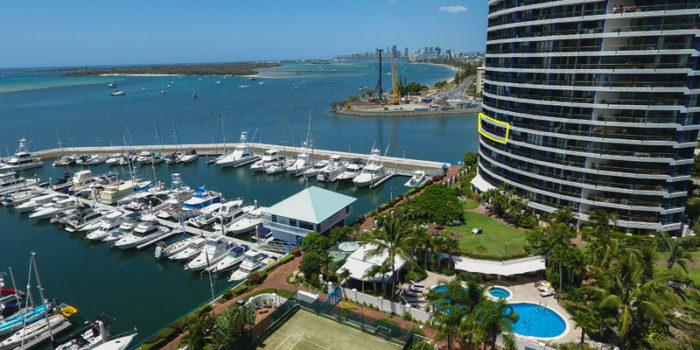 The estate allows boating access to the ocean and is located close to private and public schools, the M1 motorway and Robina Town Centre – with The Broadbeach entertainment precinct and beach are only a short drive away. 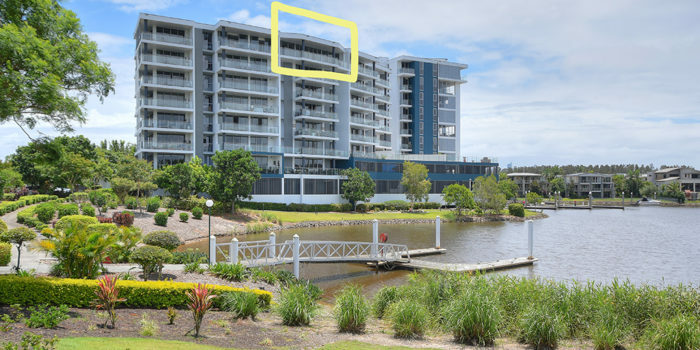 *Two Generous Bedrooms, two bathroom apartment with panoramic views of both Burleigh and Hinterland skyline and overlooking the prestigious ‘Lakelands’ Golf Course. * Second bedroom again includes WIR and Floor to Ceiling Glass Bifold door providing direct access to the Balcony. The complex also features a sparkling lap pool, BBQ area, gymnasium and Residents Lounge. 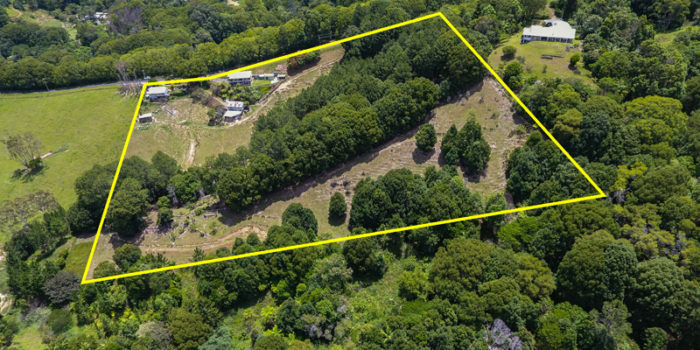 Once in a lifetime opportunity does a block come up in Robina Woods that is both ready to move into today but also has a bucket load of opportunities available for the future. This solid, one level, recently refurbished brick and tile home is an incredible value and our owners have to sell. 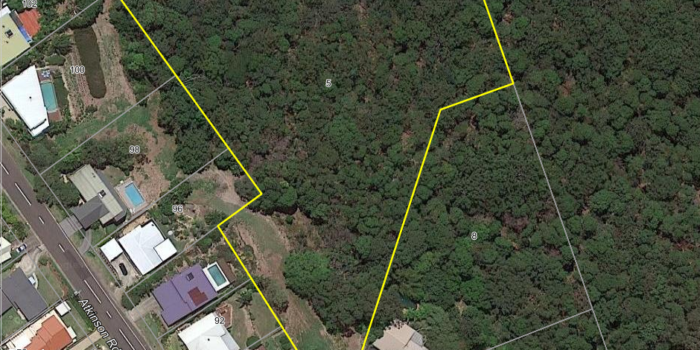 Backing onto the Robina Woods golf course find yourself at peace with few neighbours in a forest like setting. A great entertainer with plenty of private play area and the perfect home for the avid bird /nature lover. 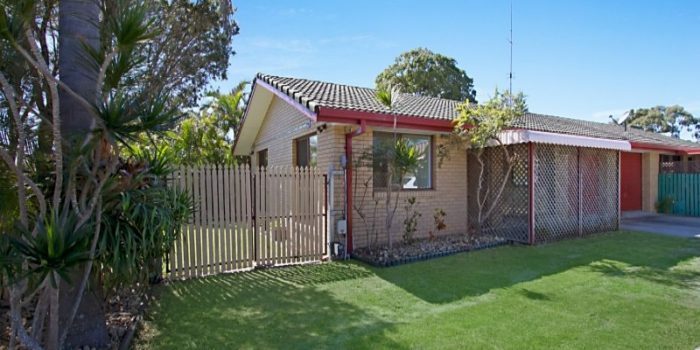 * Private battle axe block 1117sqm in total with driveway to your door. * Two separate living areas plus dining area all open plan to simply enjoy each other. 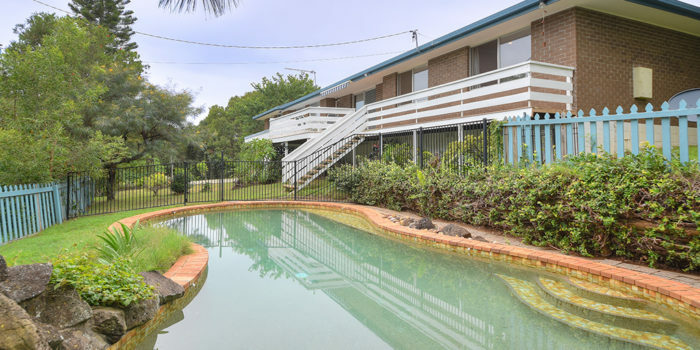 Situated in the Beautiful Robina Woods estate with a great primary school and public transport just across the road and only Ten-minute drive to the beach, Robina town centre and Train station only a moment away. An inspection will impress and can be made by appointment only. 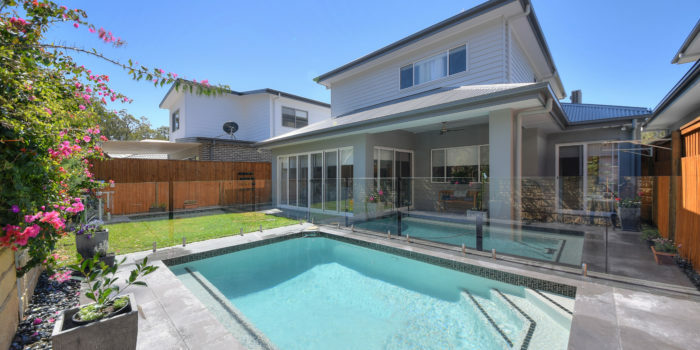 Nestled in a quiet sought after street, family inspired environment in newly developed estate it’s a must-see for families wanting the best of the Gold Coast lifestyle. With plenty of light, the well thought out house design and high ceilings ducted air conditioning throughout, plus air-con in the garage, for those tinkers out there, or even another games room for the kids, give this house an extra wow factor. The large open plan kitchen will satisfy the most avid entertainers while guests can relax and chat at the dining table, or on the lounge. Out through the kitchen, you’ll find a well-sized laundry and powder room. Four toilets in total, so no-one will ever have to wait. The property offers 4 bedrooms two of which have an en-suite, downstairs bedroom which can be enjoyed by visiting guests or elderly family members who have now joined the family. And the master bedroom having a screen-less shower screen, for all those who dislike cleaning shower screens. The kids can choose to play in the lush green grass of the backyard or enjoy a dip in the pool. 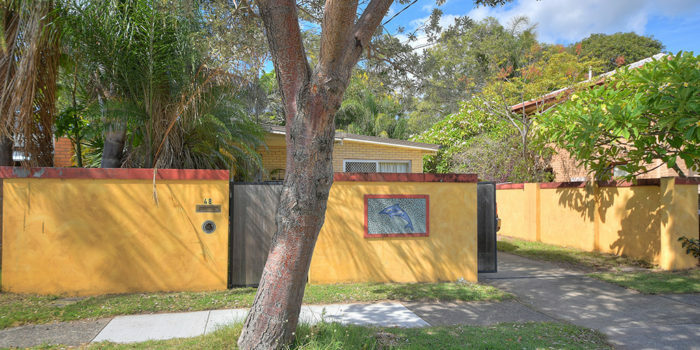 This fantastic property is a 16 min/ 8.2 km drive to Burleigh Heads Beach and it’s gorgeous golden sands, it really is a must-see for the modern family who longs for that perfect Gold Coast lifestyle. Nestled in a bush landscape you will discover the perfect position to build your dream home. Offering complete seclusion and privacy with the potential for breathtaking views, it doesn’t get much better than this! Services available such as town water and electricity, plus a dam for additional water supply. Feel the sea breeze in this elevated position!